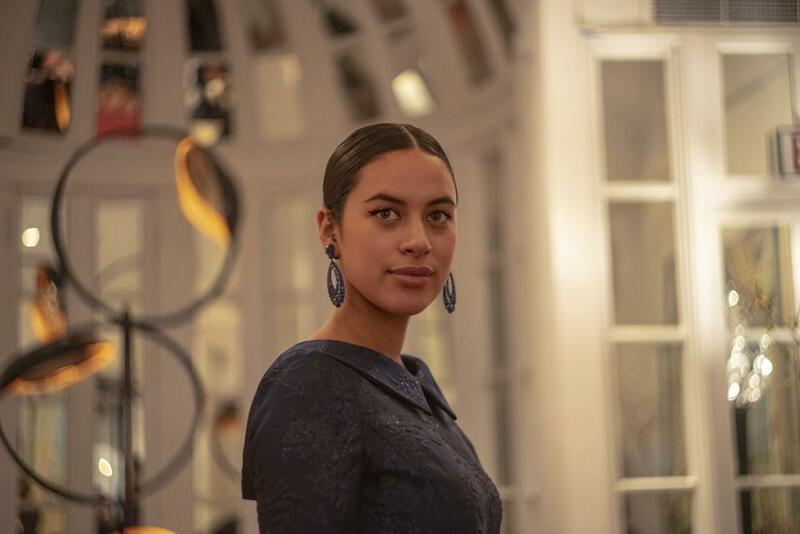 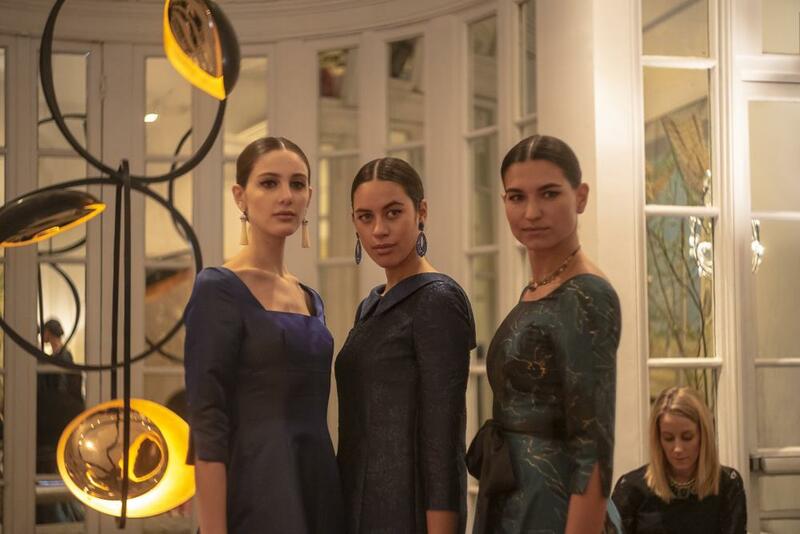 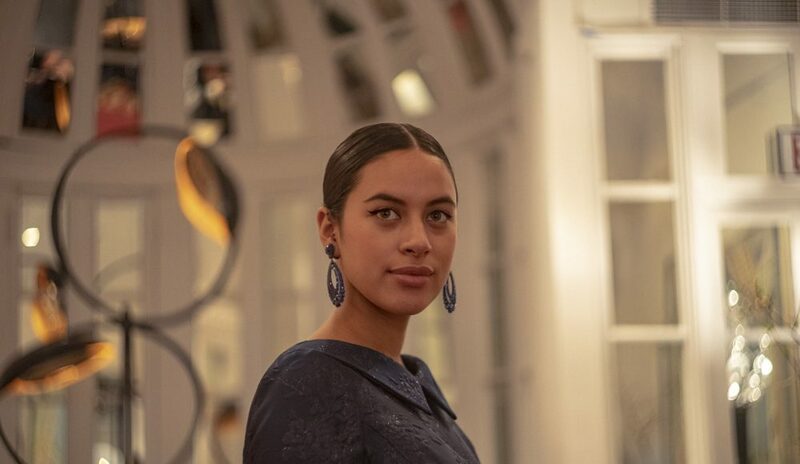 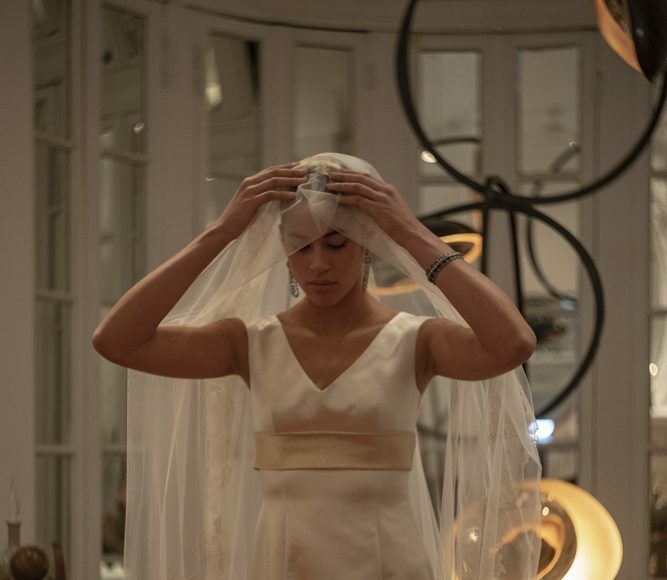 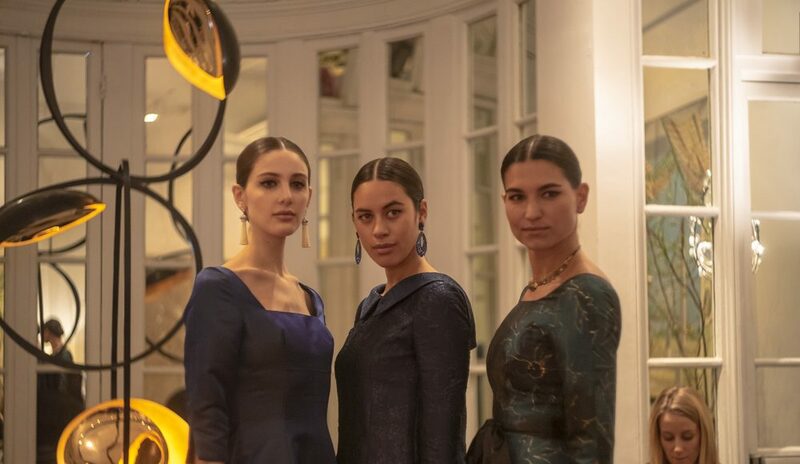 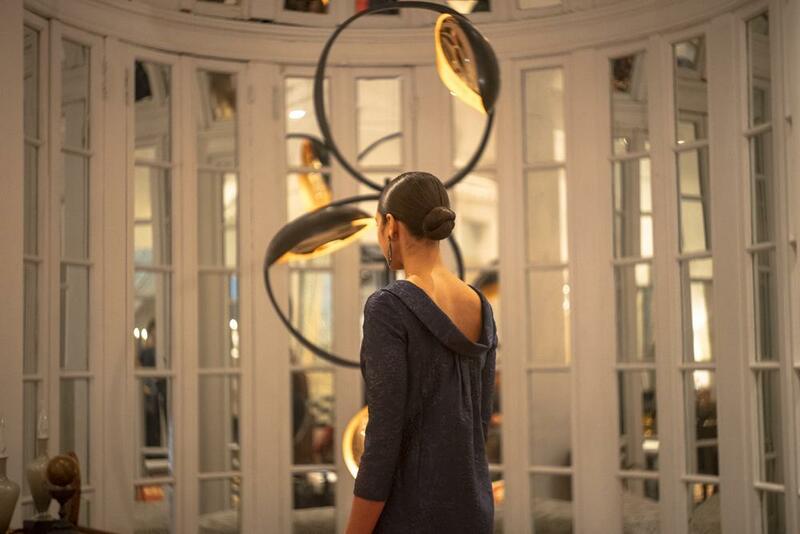 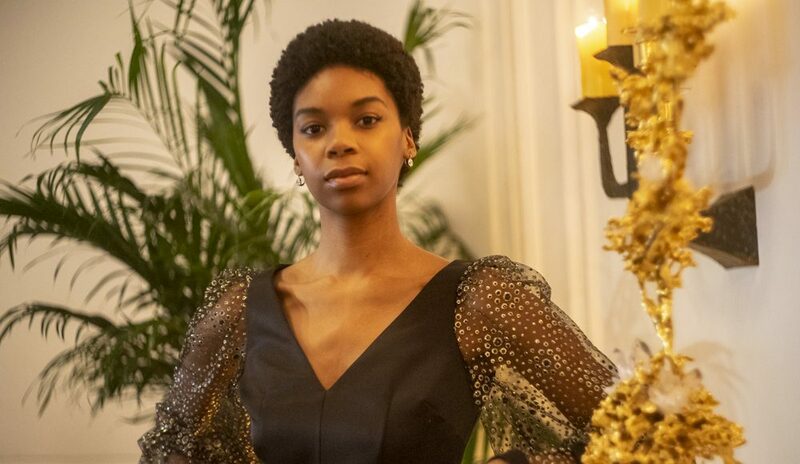 Housed at the Maison Gerard, the Barbara Tfank Fall/Winter 2019 collection was showcased in the form of a quaint presentation accented with burning candles and historical decor. 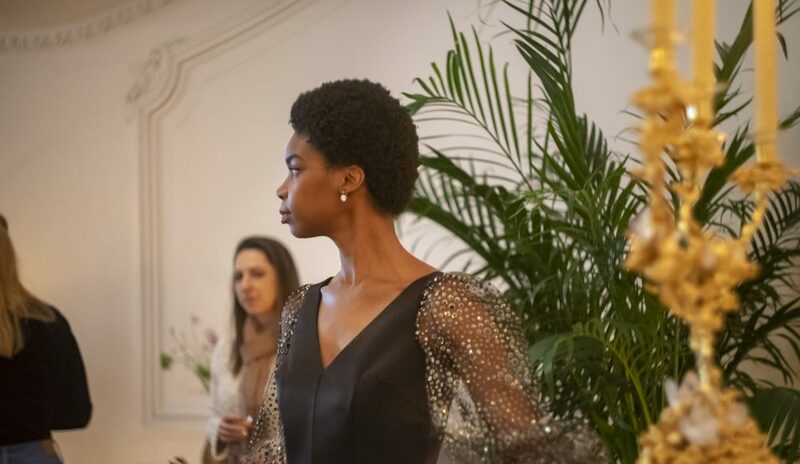 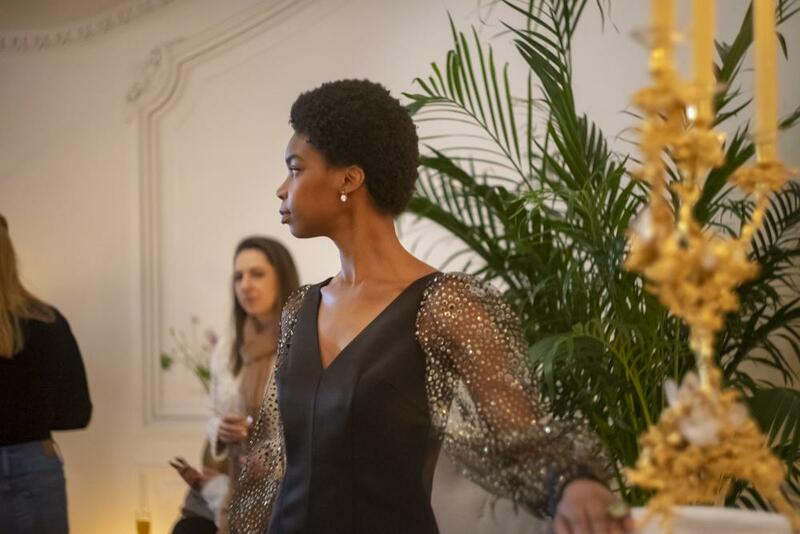 Guests were invited up to the second floor of the mansion, where they were met with refreshments and directed to the designated seating space. 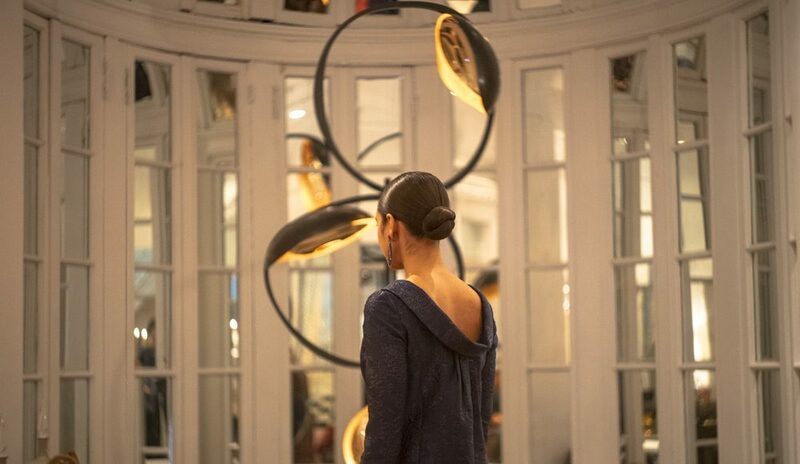 Models floated down the iron-wrought staircase located between the front and back of the townhome. 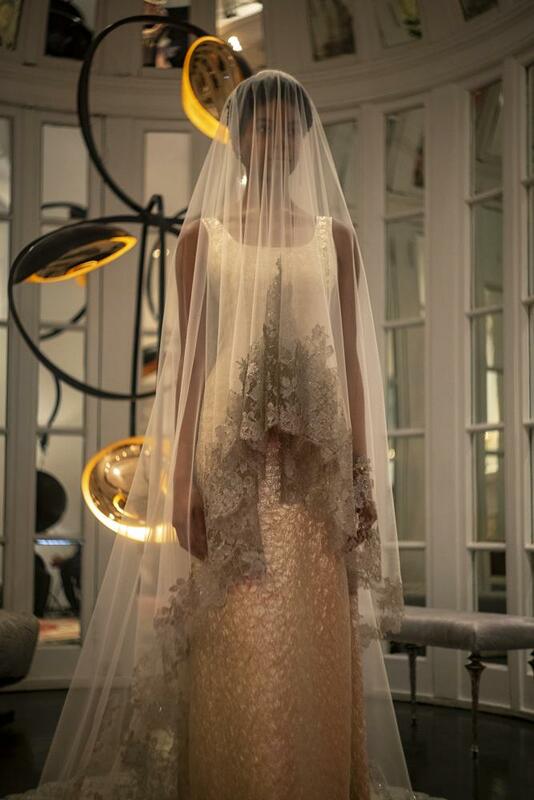 The dresses stayed true to the bulk of Tfank’s work, incorporating subtle floral patterns amongst mauve pinks and olive greens. 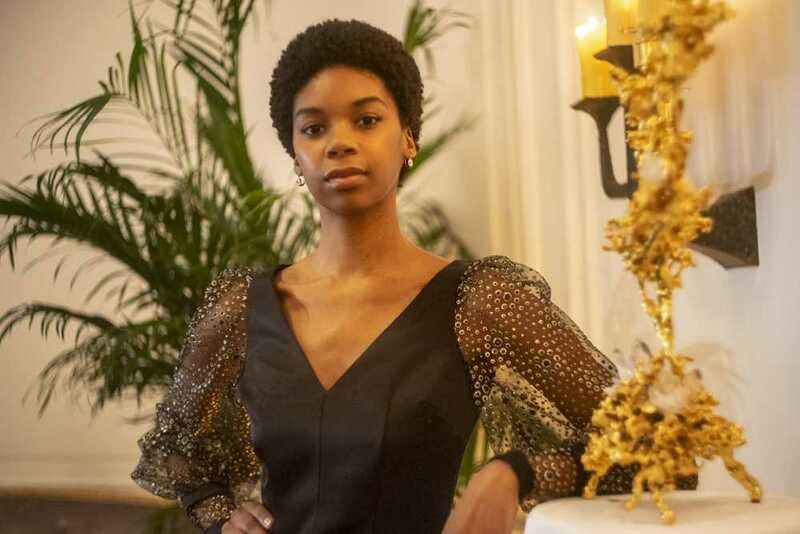 Prior to the start of the show’s second hour, an opera singer stood atop the spiral staircase in a form-fitting black dress. 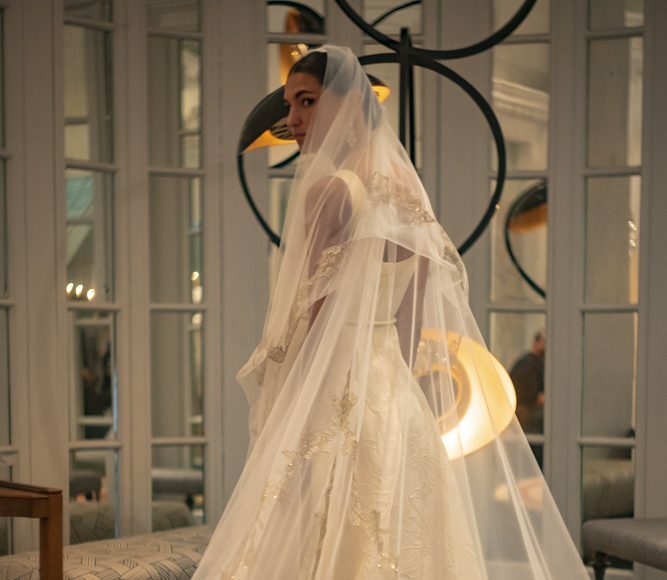 With her gloved hand delicately holding a red rose and the other relaxing on the staircase railing, the singer descended down the stairs while singing a French opera song and set the scene for the upcoming designs. 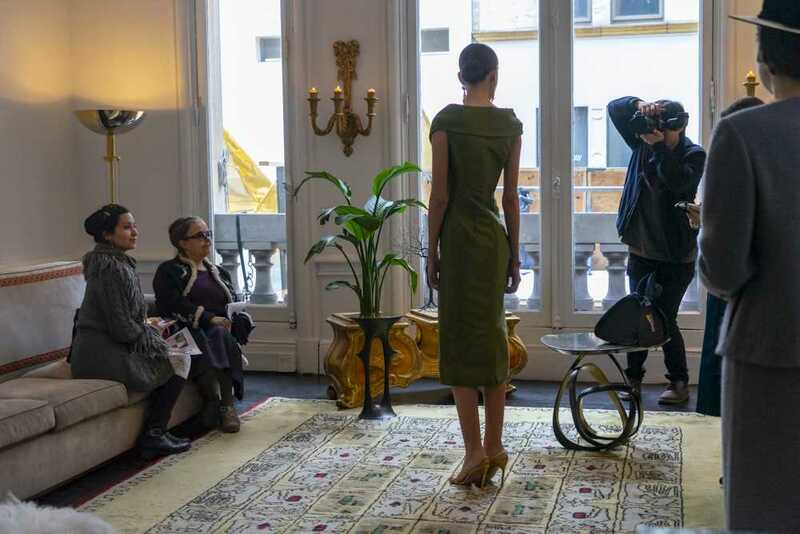 Fashion industry experts mingled amongst themselves, sharing refreshments and laughs while musing over Tfank’s latest offerings. 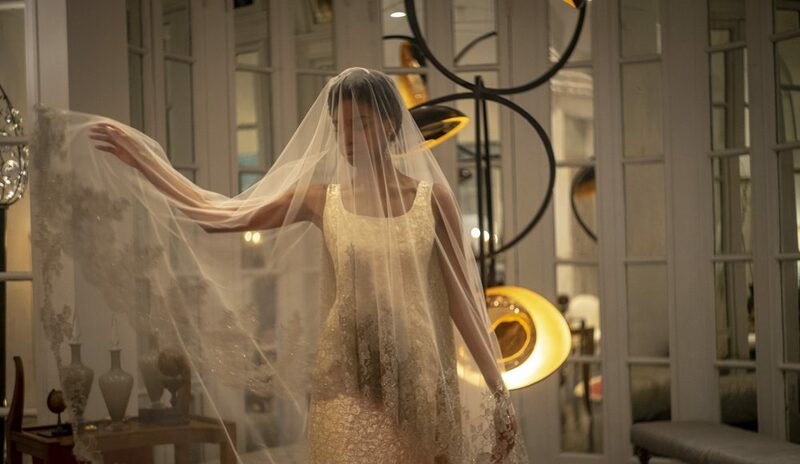 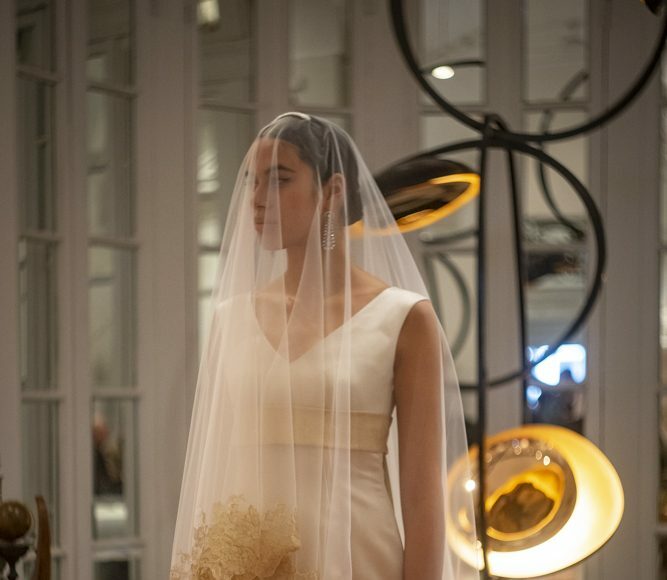 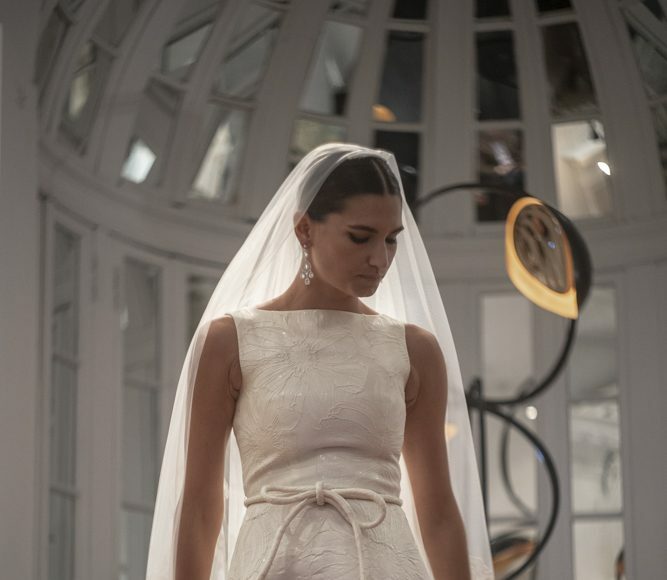 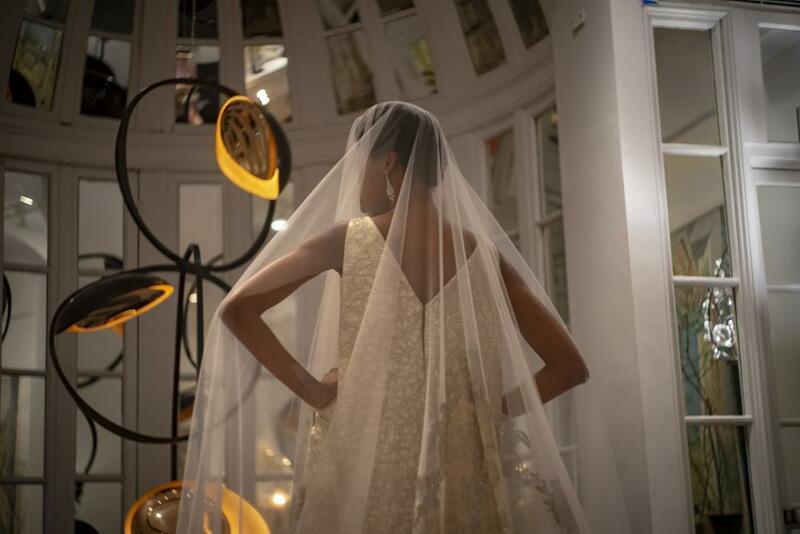 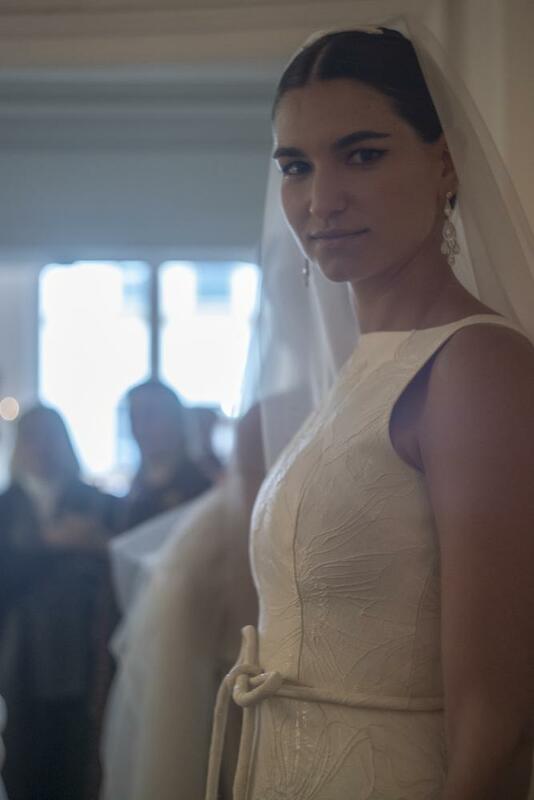 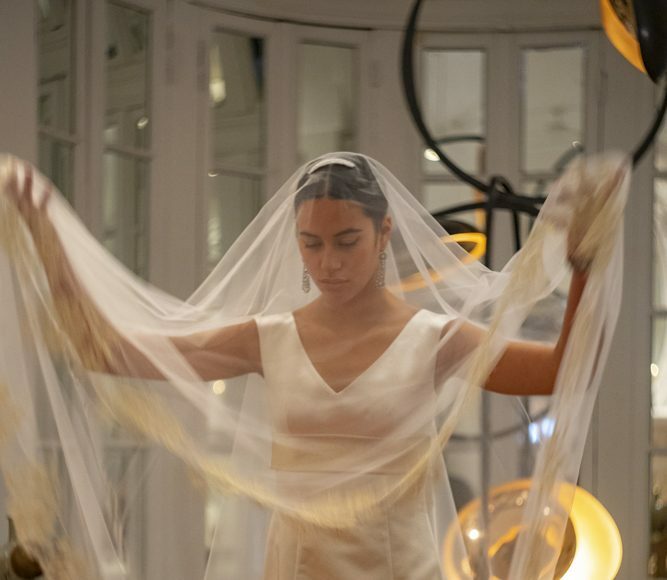 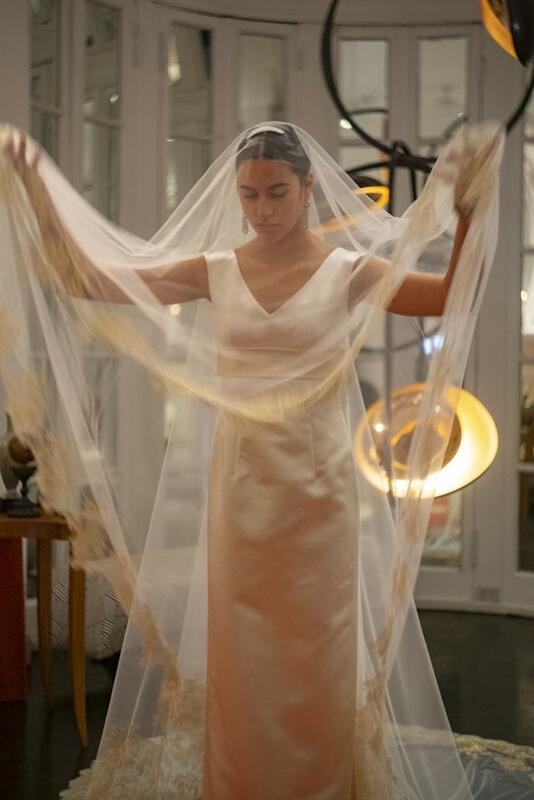 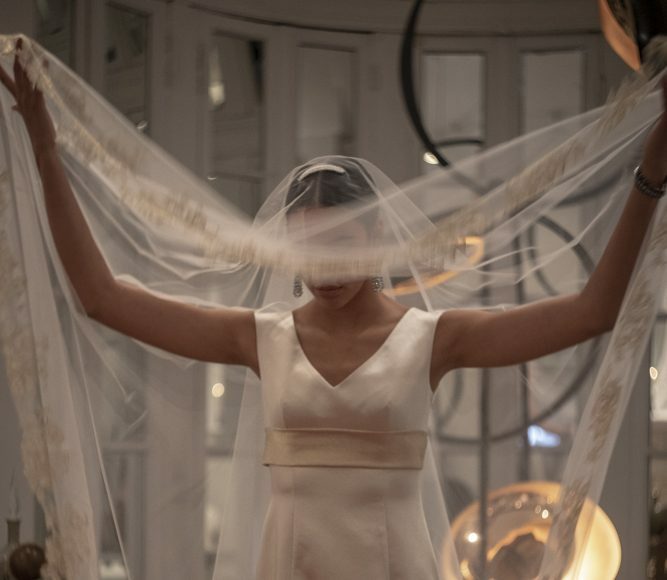 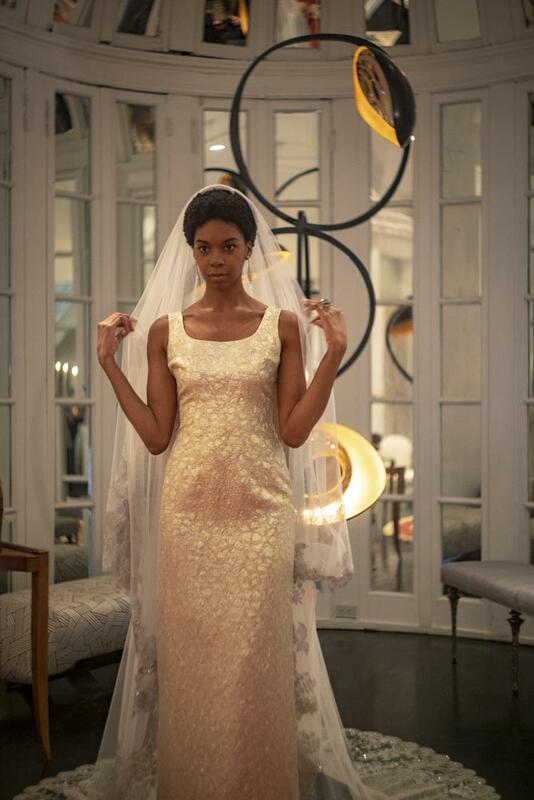 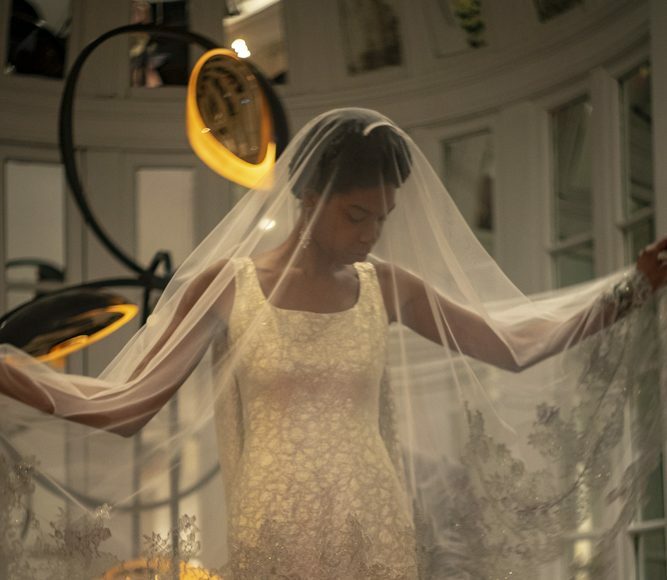 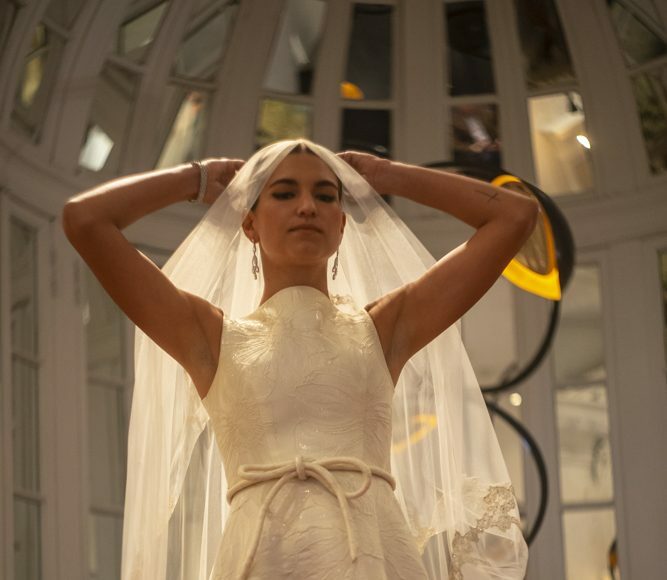 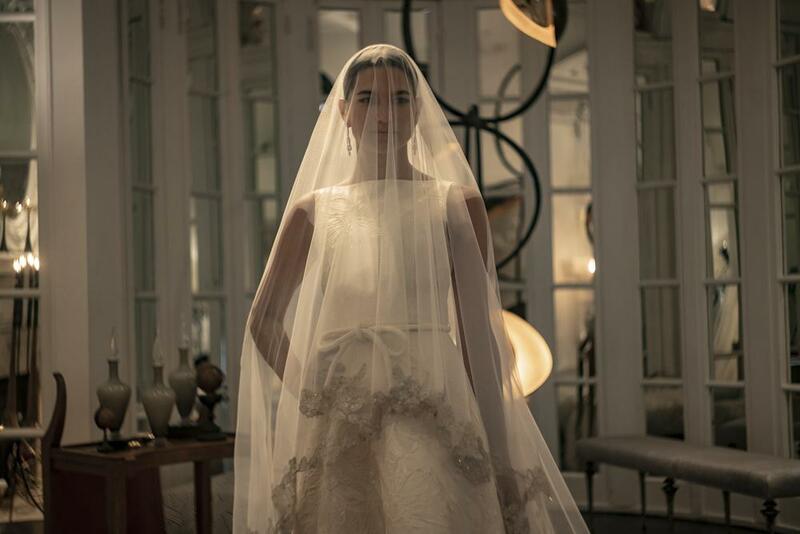 For the finale, each model descended the staircase clothed in the elegant bridal gowns that Tfank designed in collaboration with bridal shop Monvieve. 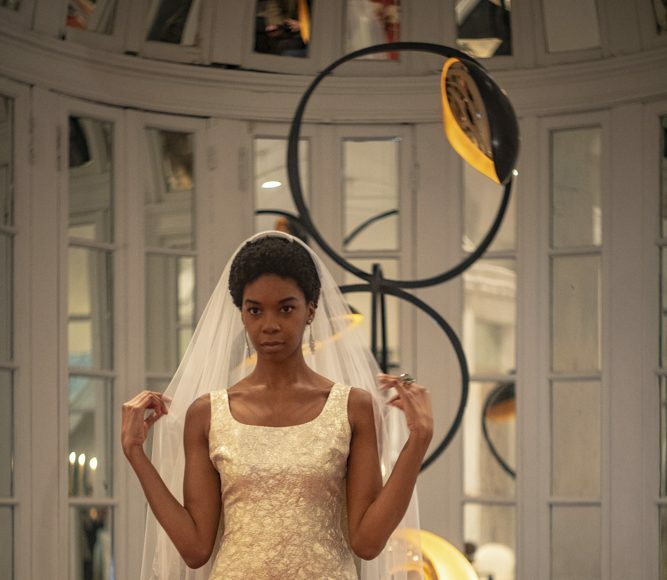 Varying in color and style, Tfank showcased gowns of champagne, off-white and mauve-pink. 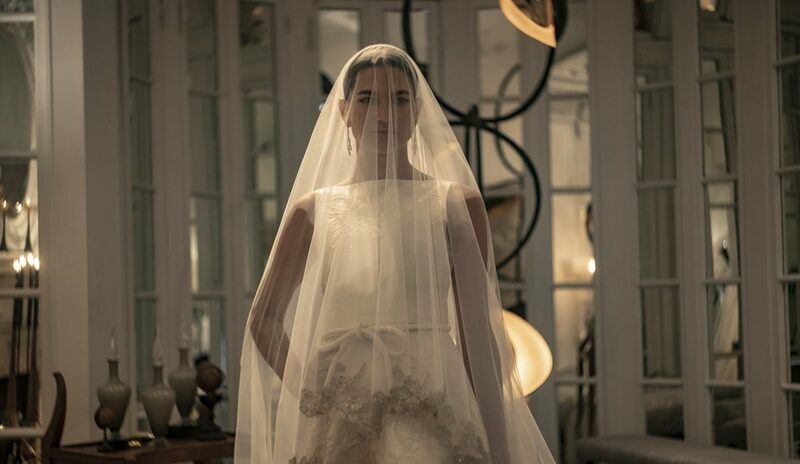 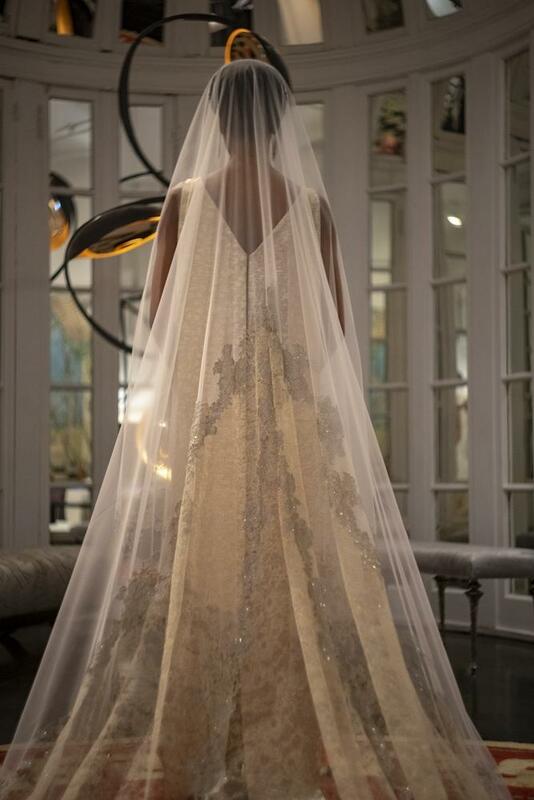 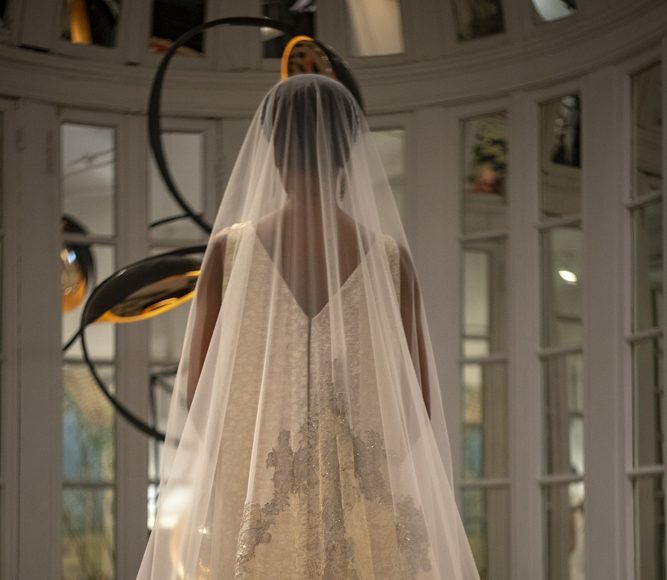 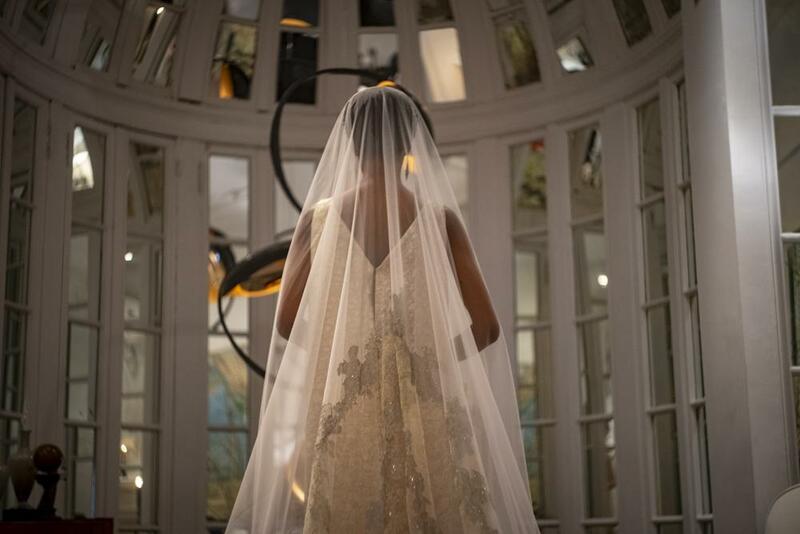 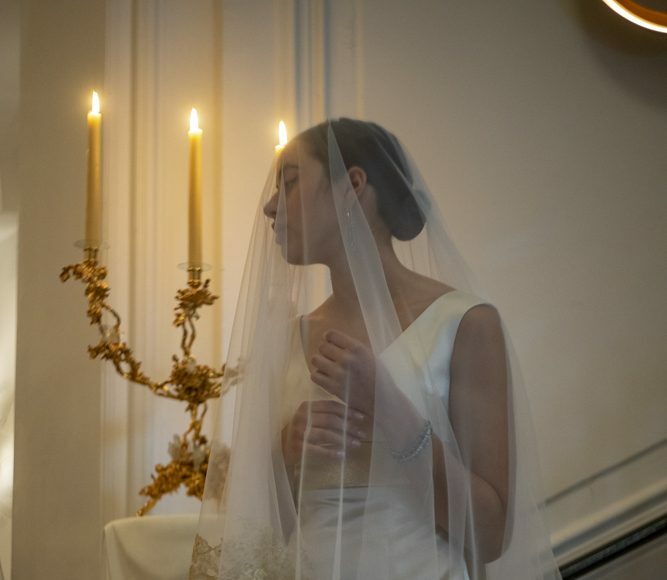 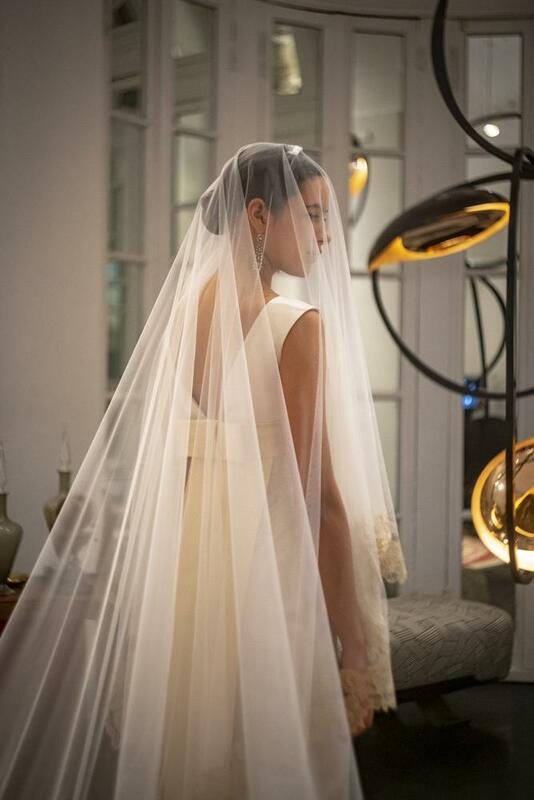 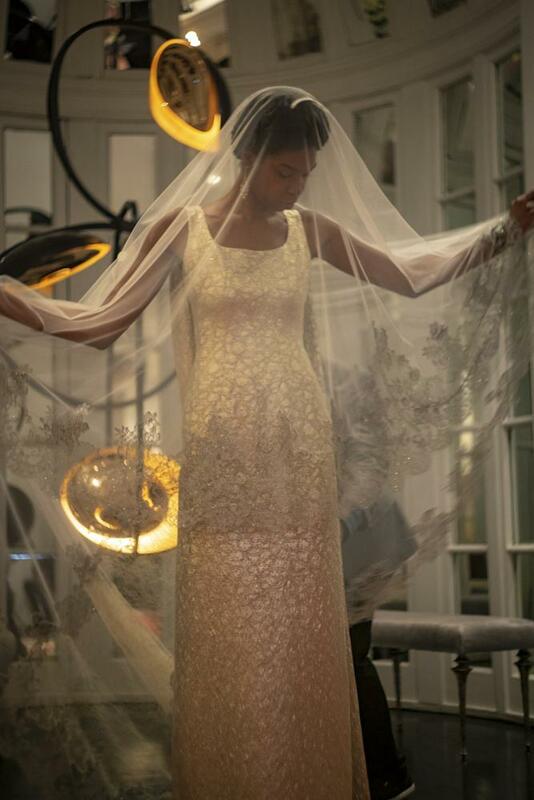 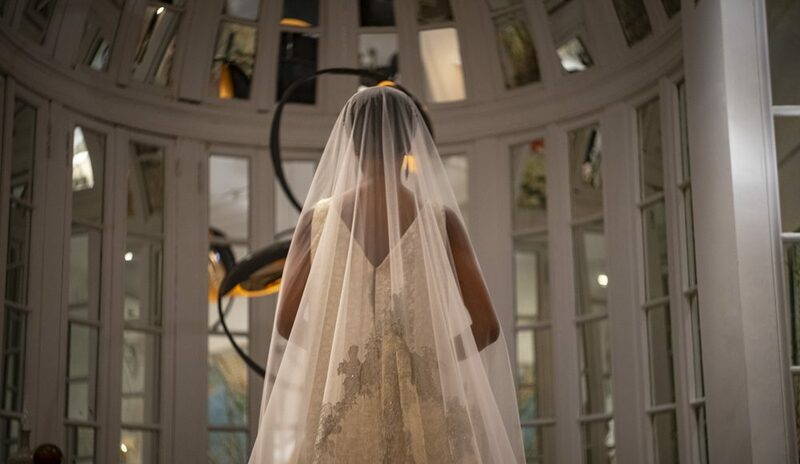 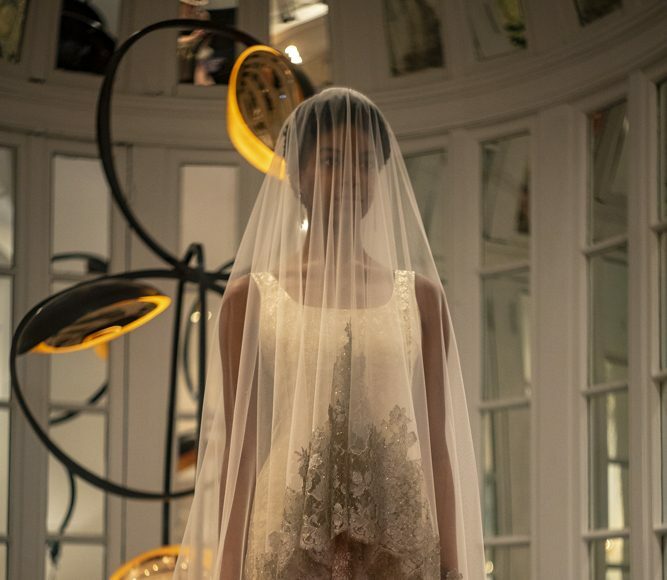 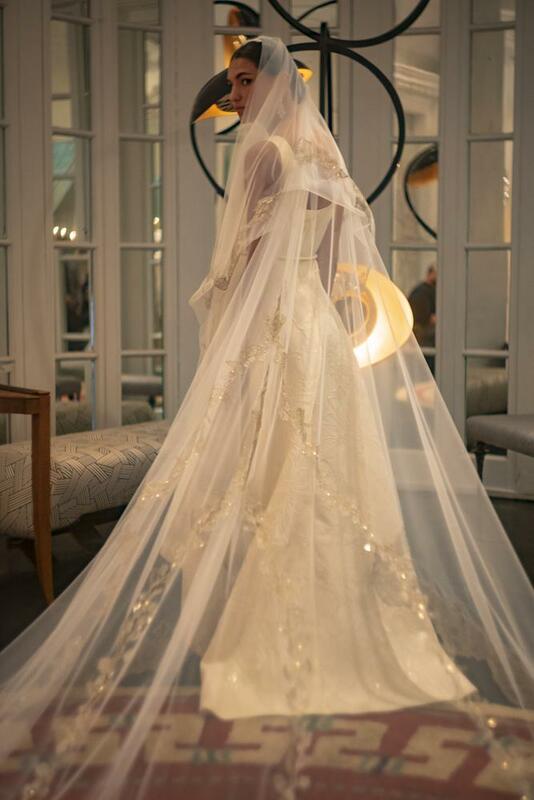 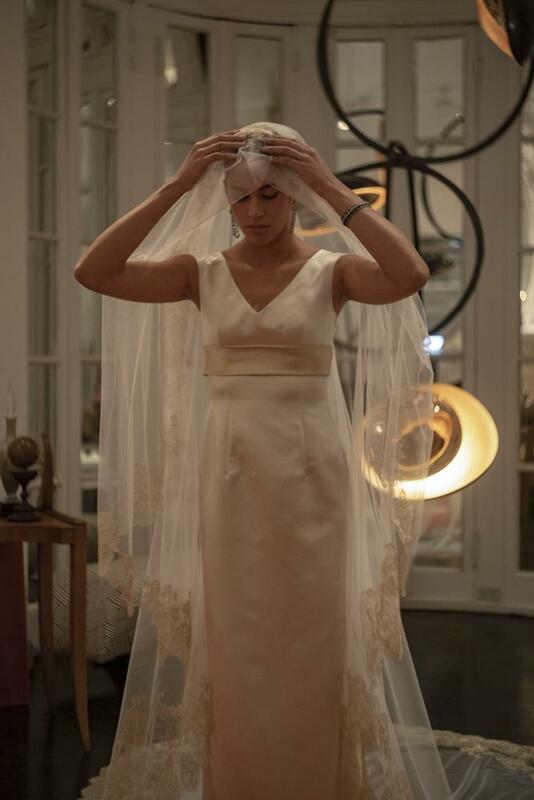 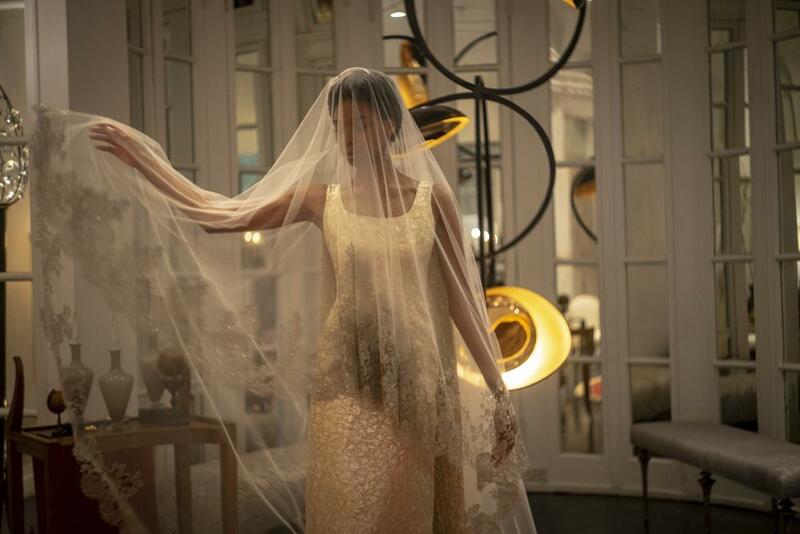 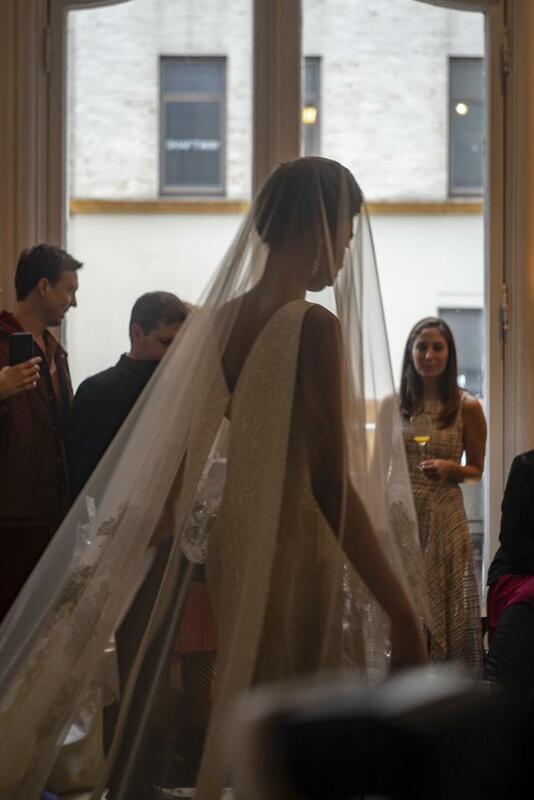 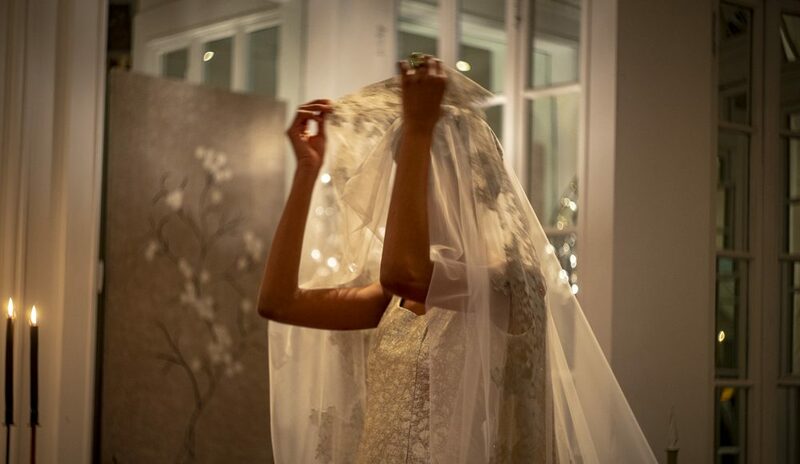 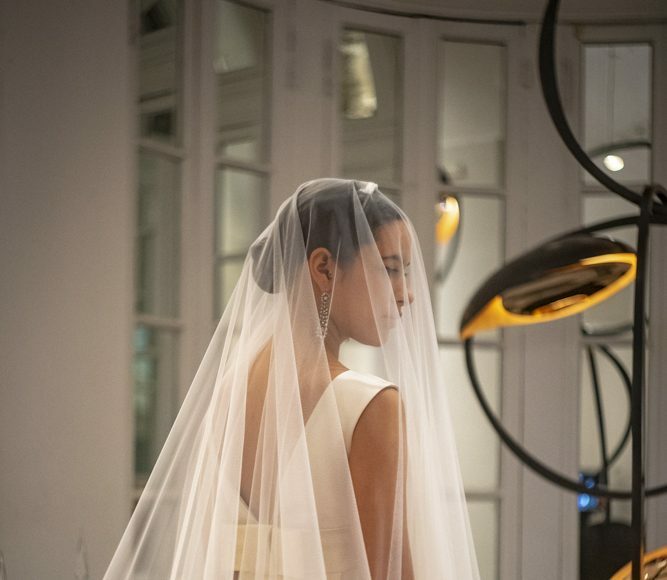 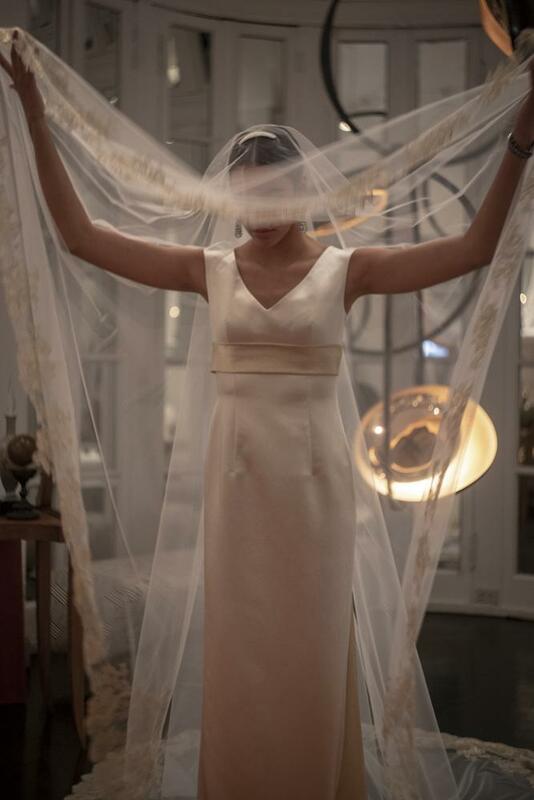 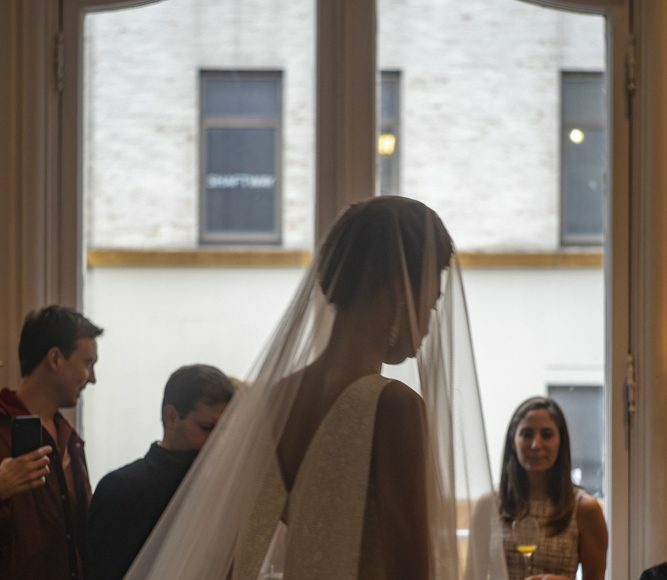 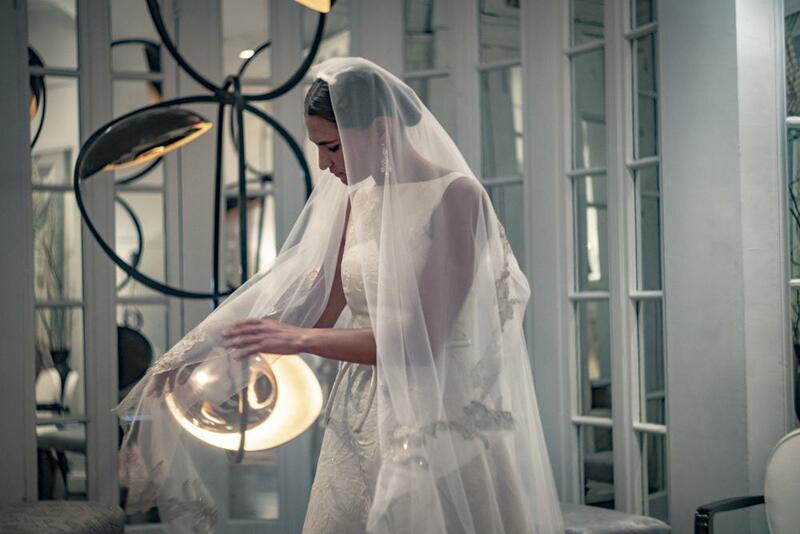 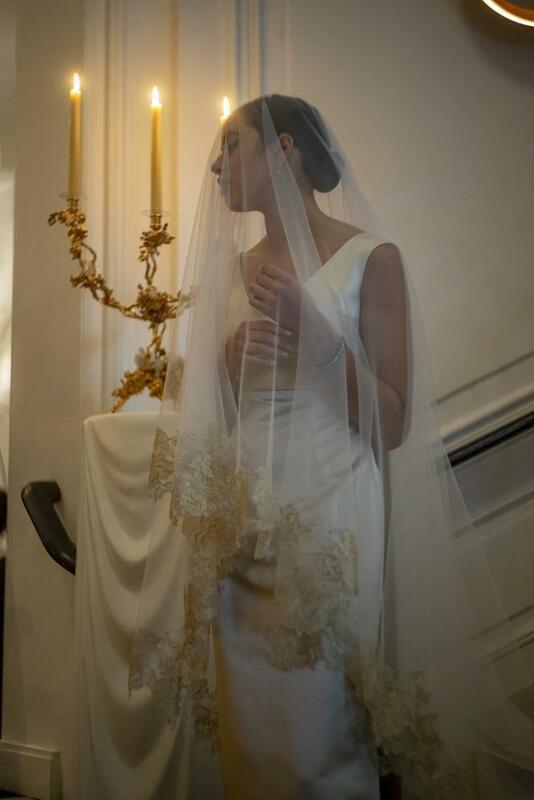 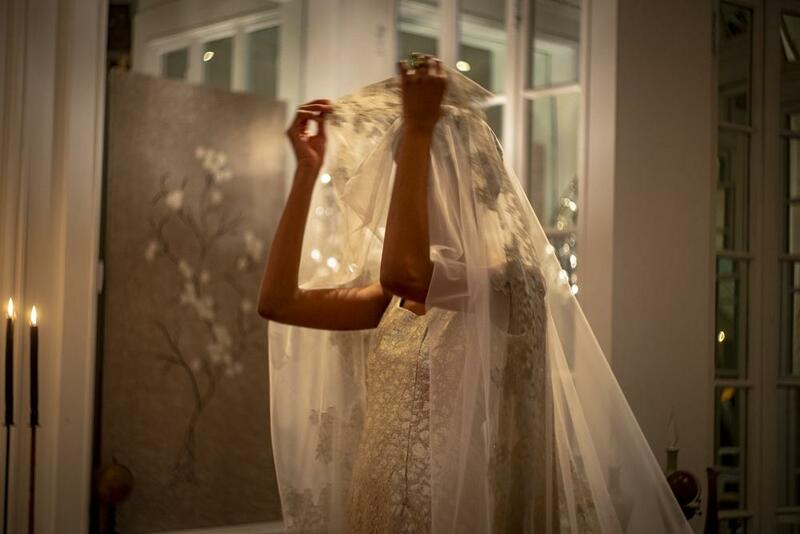 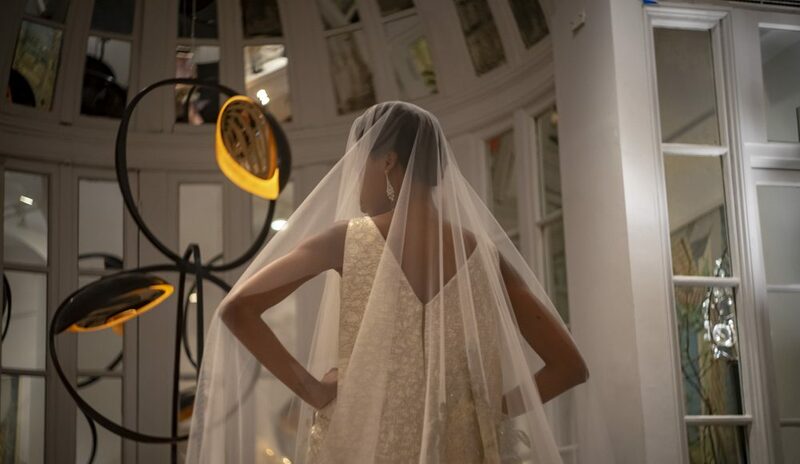 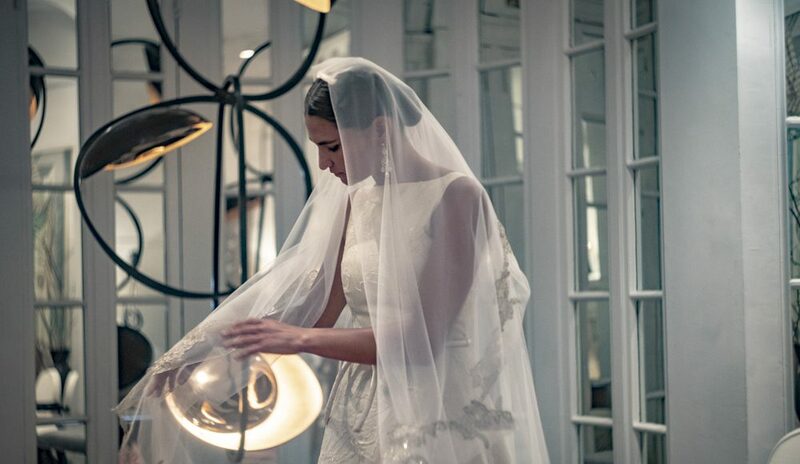 A lace-trimmed veil that glided behind each model. 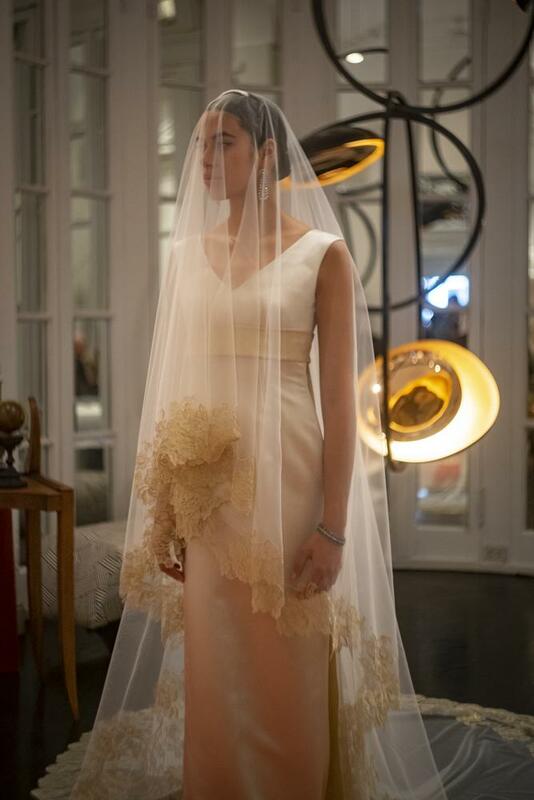 The clear focus of this show was Tfank’s bridal gown creations. 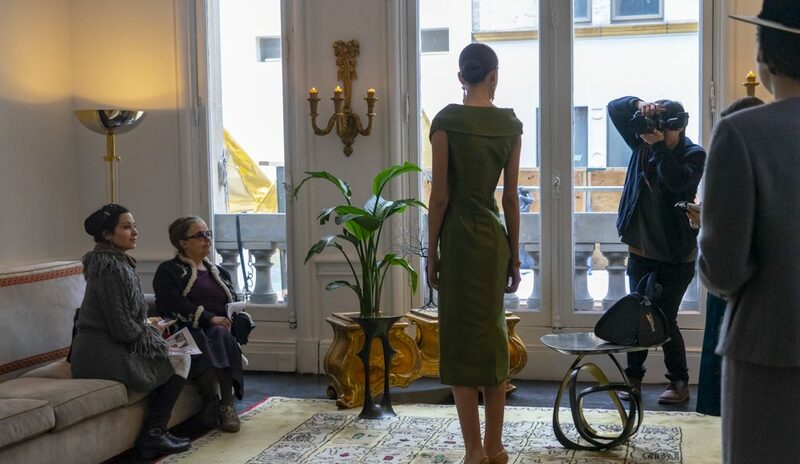 With such an enriched collection of dresses, spectators have much to look forward to in the coming seasons.